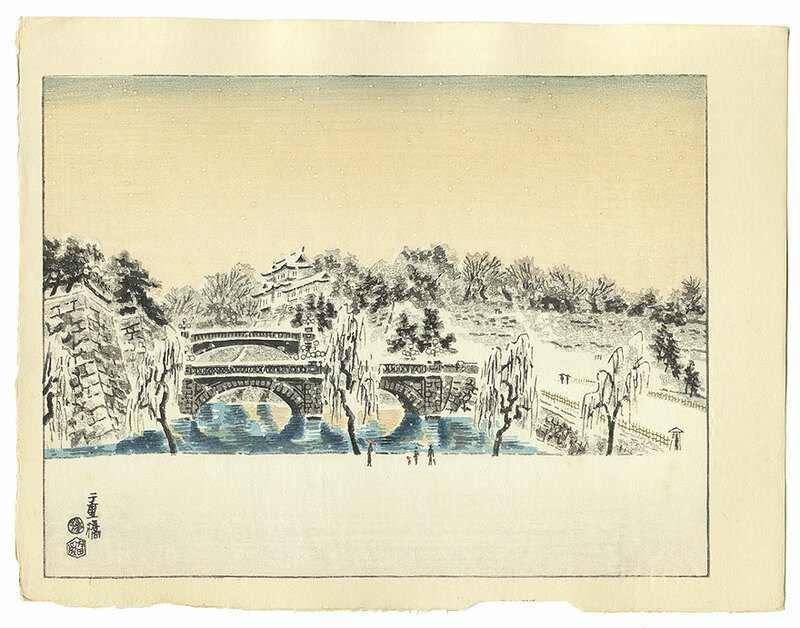 Palace Grounds in Winter - Attractive scene of palace grounds in winter. 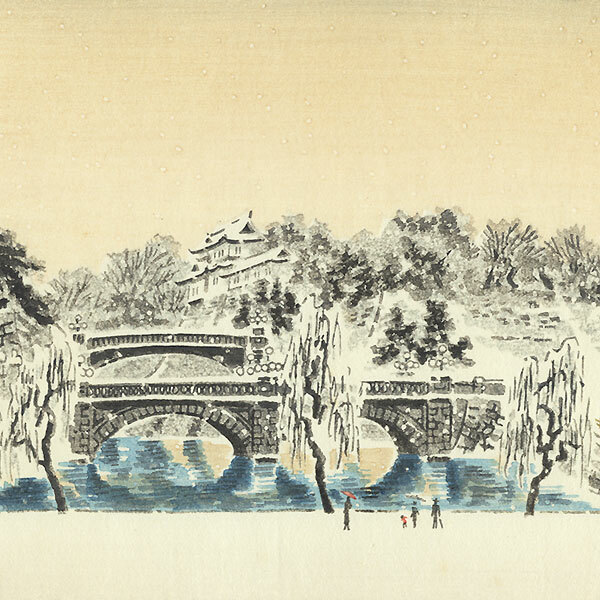 A few tiny figures stroll about under a falling snow, with arched bridges and stone walls rising in the background, rendered in shimmering reflections on the blue water of the moat. A handsome design with soft shading in the sky and a dusting of mica on the snow-covered ground. Condition - This print with excellent color and detail, as shown. 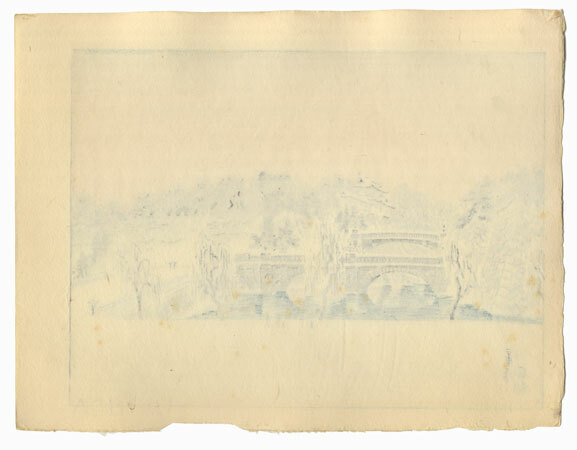 Slight toning, deckle (natural) edge at bottom of paper. Please see photos for details. Nice overall.